Expert Mildew Removal by an Atlanta, GA, Company You Can Trust – Abatement Solutions Inc. The mildew removal experts at Abatement Solutions Inc. can ensure that your Atlanta, Georgia, home or business is safe from dangerous mildew contamination. Our Certified Mold Remediation Contractors have the experience and equipment needed to identify mildew growth, safely remove it, and prevent it from growing in your building again. In fact, we guarantee that an independent testing agency will confirm that the mildew levels in your home or business will be returned to industry-acceptable levels once our mildew removal work is done. 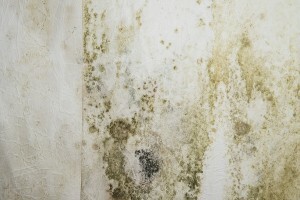 Mildew – which is mold in its early stages – thrives in areas that are damp, dark, and poorly ventilated. Left unchecked, it can spread and cause costly damage to your home or business, even threatening the health of the people inside. Having worked for years serving residential and commercial customers throughout Atlanta and nearby communities, our inspection team knows exactly where mildew is most likely to grow, and we’ll scour your building to determine the full extent of your mildew problem. If needed, we’ll even have air samples tested by an independent laboratory to provide you with objective confirmation of the threat that mildew or mold may pose to the occupants of your building before our mildew removal work begins. Contact Abatement Solutions Inc. today for mildew removal services that can make your Atlanta, GA, home or business a safe environment once again.